A German energy supplier had initially used a geological horizon for gas storage, but then decided to extract crude oil from the same deposit. 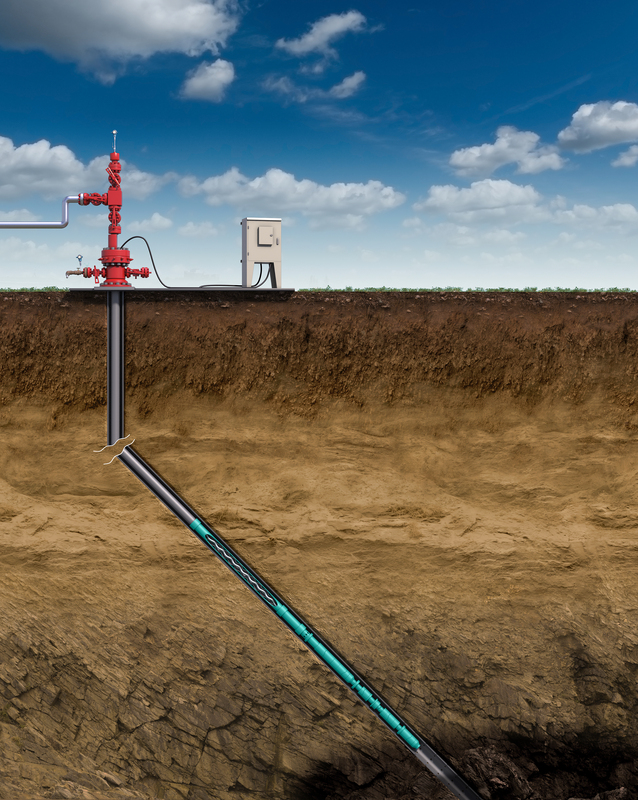 Therefore, a suitable extraction system had to be acquired for transporting the multi-phase mixture with a high gas content to the surface from 1,200 m below. Due to the extreme conditions, a special pump technology was required: centrifugal pumps with submersible drive were not suitable due to the high risk of failure from gas lock, while the progressing cavity pumps with above-ground drive – as commonly used in Central Europe – posed the risk of a blowout on the surface. NETZSCH Pumpen & Systeme GmbH offered a progressing cavity pump system with submersible drive which prevents these problems. As all moving parts are positioned deep down in the well, there is also no risk of environmental impact from leaks at the surface. After a German energy supplier had started to use a deposit for gas storage, it became evident during pumping of the medium that the geological horizon in which it was stored had emitted substantial oil quantities into the gas, which means a blocking of the pump. This prompted a detailed production and profitability analysis which showed that a conversion from gas to oil production for this bed was economically viable. A suitable pump system had to be acquired in order to reliably transport the crude oil to the surface from a depth of more than 1,200 m. The extreme conditions on site, however, presented very high requirements for the pump design: as the medium was a multi-phase mixture with a very high gas content, the usual centrifugal pumps with underground drive were not an option. With a very high free gas content, this type of pump always presents the risk of all impellers filling up with gas. Therefore, it was extremely likely that a centrifugal submersible pump would have failed in this application due to the so-called gas lock. The progressing cavity pumps, which are normally used in Central Europe until now, have been systems with above-ground drive. These units have a dynamic seal on the surface which has a significant disadvantage in case of extreme pressure increase on the intake side: the seal can become overloaded and trigger a blowout. To exclude this risk, NETZSCH decided on a progressing cavity pump which is driven underground – the NETZSCH ESPCP. The special feature of this pump is that the rotor is not driven via a very long rod, but rather the rotor-stator combination and the motor are sunk into the well. The motor is connected directly to the rotor via a short flexible rod. All radial and axial forces of the rotor are absorbed by a special underground bearing housing. In addition to this, the dynamic seal is also located in the 1,200 m deep well. This moved all critical components of the pumping solution below ground, precluding environmental impact from leaks above ground.